While most pregnancies and deliveries go fine, if the unexpected happens, we are ready. We have advanced care for moms and babies at WellSpan Gettysburg Hospital. Our maternal fetal medicine specialists are experts at helping moms with high-risk pregnancies. If your baby needs help, neonatologists and Neonatal Intensive Care Units are nearby. And our excellent care coordinators take care of everything else. Providing exceptional care close to home. Thatâ&#x20AC;&#x2122;s the WellSpan Way. And, I believe, the best way for moms and babies. The bolded businesses in Business Briefs are Chamber members. Submit news to news@gettysburg-chamber.org by the second Tuesday of each month for inclusion in the following month’s publication. ACNB Bank promoted Grant J. Holub, Commercial Loan Officer, to Vice President. Holub joined ACNB Bank in 2014 as Assistant Vice President/Commercial Loan Officer, and has 13 years of banking experience with four years specializing in commercial lending. Belco Community Credit Union recently celebrated its 80th Anniversary on March 7. Belco was established in 1939 by 25 Bell Telephone employees. Elton “Miller” Peterman and his coworkers formed a federally chartered credit union to serve the employees of Bell Telephone Company of Harrisburg, PA. Now 80 years later, Belco has 14 branches, more than 66,000 members and $618 million in assets. ACNB Bank has welcomed John D. Husser as vice president/commercial loan officer based at the Bank’s North Gettysburg Office. He is responsible for building commercial customer relationships by providing commercial loans, deposit accounts, and other banking services to assist in the operation and growth of a customer’s business. Husser has worked in the banking industry for 17 years with six years in commercial lending. He also attended the Maryland Banking School which is affiliated with the Maryland Bankers Association. Conewago Valley High School students will now be provided with a career and trade school alternative with the creation of the new Colonial Career and Technology Center. The center is currently under construction on the west side of New Oxford High School. Upon opening in August, the center will facilitate partnerships between CVHS students and manufacturers/businesses in the community. Courses at the new center will be coordinated with those at Adams County Tech Prep and the mechatronics program at HACC Gettysburg Campus. Promote your business to the people who live, work and play in Adams County in the OFFICIAL “Adams County Living” guide produced by the Gettysburg Adams Chamber of Commerce. advertise WHY: Stretch your advertising dollars and connect directly with thousands of potential customers by advertising in Adams County’s premier publication, Adams County Living, the Gettysburg Adams Chamber of Commerce community guide and business directory. Participation is exclusive to chamber members. WHO: We’re helping people who live, work and play in Adams County discover the community and products and services from more than 500 local chamber businesses and organizations. WHAT: We’ll print 10,000 copies of this professional, quality magazine to promote YOU, our chamber members. Produced “in house,” local chamber member vendors help us create and print a quality magazine that brings and keeps dollars in our community. WHERE: The publication will be delivered directly into the hands of your potential business and residential customers. 10,000 copies are distributed annually to subscribers of the Gettysburg Times, 50+ locations throughout Adams County, new residents and chamber members. Plus, the directory is published online, with last year’s directory receiving 100,000+ views each month. WHEN: Published Aug. 2019. About Ms. Rohrbach Ms. Rohrbach is the sales manager at Musselman Greenhouses. She graduated from Penn State University with a degree in horticulture and has worked at Musselman Greenhouses full-time since 1998. Ms. Rohrbach is the granddaughter of Glenn and Miriam Musselman, the original owners of Musselman Greenhouses, and the daughter of Dave Musselman, the current president of their family owned and operated business. What are your primary responsibilities? 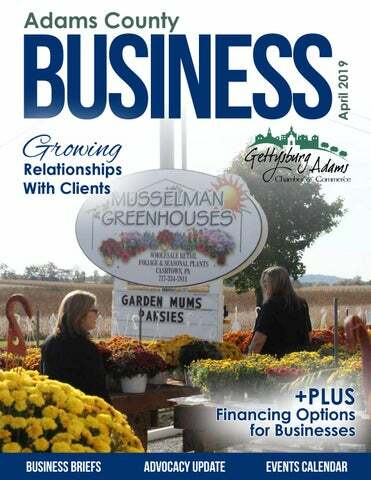 As the sales manager at Musselman Greenhouses, I am responsible for selling our products and providing the services our small business customers need to make their own businesses a success. As with many other small businesses, I pitch in where I am needed. If a plant needs watered or an order needs packed, I am ready to help. What motivates you to jump out of bed every morning? Even though I have worked with flowers and plants my entire life, I still love the beauty flowers bring into our lives. Every season brings different types of flowers to life and I love them all! I enjoy the relationships I have built with clients and staff throughout the years as well. As a business in Adams County, how do you give back to the local community? Since 2002, Musselman Greenhouses has planted the hanging baskets for downtown Gettysburg and hung them for the Gettysburg Garden Club. We also enjoy giving various youth organizations tours of our greenhouses and helping them with plant projects such as creating terrariums. When youâ&#x20AC;&#x2122;re not working, where in Adams County do you like to spend your time? I enjoy spending time outdoors with my husband and two children. We especially enjoy our gardens at home and walking on the battlefield. My kids keep me hopping throughout the county with their activities too! Biz Buzz Musselman Greenhouses is a family owned and operated greenhouse business located in Cashtown. The Musselman Greenhouse roots were planted in 1948 when Glenn and Miriam Musselman started a flower shop and greenhouse on the family fruit farm. In 1976 Dave Musselman began selling terrarium plants and dish gardens to flower shops. Currently, the wholesale division sells a wide variety of plants to businesses such as flower shops, garden centers, farm markets, and independent hardware stores in four states. Musselman Greenhouses strives to grow the highest quality plants for customers. The greenhouses are open year round to the public. Golf Every Day for $429! Senator Toomey recently cosponsored legislation that encourages contributions to organizations that provide scholarships to students seeking an education that better suits their needs. This act, titled the Education Freedom Scholarships and Opportunity Act, establishes an annual $5 billion federal tax credit for donations to organizations that provide school choice scholarships to students as well as $5 billion per year in tax credits for workforce development programs. The credit is flexible for states, and could be used to fund, for example, tuition, tutoring costs, or homeschooling costs for Pennsylvania families. The bill is optional for states; however, Senator Toomey successfully pushed to ensure that all current state-recognized scholarship granting organizations in Pennsylvania can accept donations. A very common issue I hear from constituents is the workforce needs of employers in Adams County. Employers are starving for reliable workers and are willing to train new hires to give them the skills needed for the job. I strongly support the development of higher paying jobs, but forcing legislation to increase the minimum wage is an unnecessary and economically dangerous course of action. Pennsylvania is one of 16 states that follows the federal minimum wage. I believe allowing the free market to set wage rates benefits both workers who are trying to support their families as well as employers that are struggling to control high labor costs. According to the PA Department of Labor and Industry, nearly 98 percent of Pennsylvanians earn a wage higher than the minimum wage. The Departmentâ&#x20AC;&#x2122;s statistics indicate there were more than 25 percent fewer workers being paid minimum wage in 2017 than in 2016. Pick up a classified section and you will see numerous entry level positions in many industries starting well above minimum wage. I often pass billboards advertising entry-level positions paying far above the minimum wage some paying more than $15.00 dollars an hour together with benefits. Minimum wage is meant to be a starter wage â&#x20AC;&#x201C; one that is often for young adults â&#x20AC;&#x201C; students, first-time employees and workers looking to build new skills and quickly move onto higher paying positions. History shows that forcing businesses to pay higher wages leads to an overall decrease in demand for labor, as businesses are forced to find new ways to cut increased labor costs. Business leaders are forced to take measures like reducing hours for employees, decreasing the size of their workforce, or only hiring individuals with demonstrated levels of experience. My goal remains to help better prepare Pennsylvanians to have the tools, knowledge and skills that will lead them to higher earning careers. Nobody should be forced to spend years at a minimum wage job. We need to educate and support these low wage earners to learn a skill or a trade that will provide them an opportunity to earn a familysustaining wage. For this reason, I remain committed to workforce development initiatives in our community. March 8, 2019 turned into an interesting day for the Adams County Commissioners. The day began sitting down with the Adams County Farm Bureau for a traditional breakfast meeting. This meeting creates plenty of good conversation that involves a number of issues facing the agricultural community. Some issues we can address and others we carry to our spring County Commissioners Conference. At the conference we can address the issues with our colleagues, generally through the Agricultural Committee. I will be representing agricultural issues at the next Agricultural Committee Meeting on March 24 during the spring conference in Harrisburg. March 8th ended with the commissioners attending the Annual Adams County Fruit Growers Association banquet. This is an important time of networking with the fruit growing industry. We know the importance of supporting this major county industry and look to their banquet as an extension of our support for their industry. Weâ&#x20AC;&#x2122;re not typical electric utility workers. We work for a local not-for-profit cooperative. The 32,000 member-owners in Adams, Cumberland, Franklin, Perry and York counties are our top priority. We do what it takes to keep the lights on and help our members save energy. Adams Electric Cooperative: Owned by Those We Serve. To learn more, visit adamsec.coop. Adams County business owners are encouraged to apply for low, fixed-rate financing programs available through the nonprofit Adams Economic Alliance. Current Pennsylvania Industrial Development Authority (PIDA) loan rates are between 2.75 and 3.75 percent for applications submitted by March 31, 2019; the Alliance is certified annually by the Commonwealth to administer loans locally. Rates are reset every quarter. “It is extremely rewarding to support a wide variety of businesses and industries in Adams County and see the results—new and improved places of employment, equipment that diversifies businesses’ services, jobs that support families, and taxes that strengthen our local economy. Many of our loan customers say they simply wouldn’t be able to apply for financing otherwise—the low interest, fixed rates make all the difference,” says Kaycee Kemper, Alliance Vice President. The organization has facilitated 147 low-interest business loans to Adams County businesses since 1996. Eligible businesses with 100 or fewer full time employees qualify for PIDA funds, including: agriculture producers and processors; industrial and manufacturing enterprises; research and development; construction businesses; child day-care enterprises; qualifying hospitality and service businesses; developers. PIDA funds must be used for new projects; existing debt cannot be refinanced. Eligible real estate projects include the purchase, expansion and renovation of land and buildings. PIDA funds can be used to purchase machinery and equipment, as well. Additionally, PIDA loans cannot finance 100 percent of any project and therefore do not compete with local banks. The Alliance partners with various banking institutions to bring projects to fruition. There must be a dollar for dollar match for the PIDA loan. Since 1996, the Alliance has facilitated more than $30.4 million in public investment from the Commonwealth that leveraged more than $80.1 million of local, private investment. More than 580 full time jobs have been created and 1,625 have been retained as a result of the public investment. Adams County’s businesses have been participating in the Commonwealth’s financing programs since the incorporation of the Gettysburg Industrial Development Corporation in 1960. This group became known as the Adams County Economic Development Corporation (ACEDC) in 1989. In 2017, ACEDC embarked on a rebranding initiative which brought forth the organization’s umbrella name, Adams Economic Alliance, comprised of three organizations: ACEDC; the Adams County Industrial Development Authority, and the Adams County General Authority. To apply for a PIDA loan or find out more information, contact Alliance Vice President Kaycee Kemper at 717-334-0042, extension 2, or email her at kkemper@adamsalliance.org. 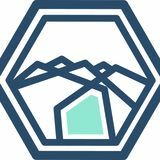 Also, see adamsalliance.org, or follow the Alliance on Twitter (@AdamsAlliance), Facebook (Facebook.com/AdamsAlliance) and LinkedIn (Adams Economic Alliance). More of the care you need close to home. TUESDAY, MAY 7 | 11:30 A.M.-1 P.M. THE LODGES AT GETTYSBURG Join the chamber in recognizing recipients of business excellence awards. Cost is $25/member. THURSDAY, MAY 16 | 5-7 P.M. ACNB BANK Mix and mingle with the local business community in a relaxed setting thanks to the area’s oldest community bank. No cost to attend this event. WEDNESDAY, MAY 22 | 11:30 A.M.-1:30 P.M. ADAMS ELECTRIC COOPERATIVE PAVILION Join us for a Caribbean Beach themed event, featuring a delicious meal by Biggerstaff’s Catering and your Board of Directors. No cost to attend this event. Registration required for all events: gettysburg-chamber.org or 717.334.8151. *Includes greens fee, cart, putting contest, group photo, snacks/beverages on the course, prizes and dinner (pit beef, grilled chicken, baked ziti, green salad, local sweet corn and dessert). is an esop right for your business? rosalie evans | pennsylvania center for employee ownership What if… There were…millionaire grocery clerks, real retirement savings, tax free companies? Crazy? No...it’s called employee ownership. What if your employer could sell you a percentage of their company? What if you paid NOTHING for the shares, but now had real retirement funds? And what if the company became more productive and was exempt from federal and state tax on profits? This is all possible through an ESOP, an “Employee Stock Ownership Plan.” In 1974, the federal government created a program that allows owners of businesses to sell some or all of their company to their employees. The employees pay nothing. Rather, the business takes on a note (a “mortgage”) that gets paid back over three to five years. The owner gets paid full fair market value, and now the employees have a real stake in the company and real retirement savings. Not surprisingly, employee owned companies are much more productive than non-employee owned companies and turnover rates decrease dramatically. And here’s the best part...an ESOP company’s profits are tax free – forever. The tax savings pay off the mortgage! And very few people know about this. Pennsylvania has about 300 ESOPs including C. S. Davidson, Inc. and Kennie’s Market. At age 19 Cathy Burch took a job at WinCo, a supermarket chain and ESOP company. She worked in various roles cashier, shelf stocker, inventory orderer, and by the time she was 42 she was a millionaire. And at WinCo, her story is not unique. For more information contact Rosalie Evans, rosalie@paceo.org at the nonprofit Pennsylvania Center for Employee Ownership, and visit their website ownershippennsylvania.org. Board of Directors | 7:30 a.m. Adams Electric Cooperative, Inc. Membership Mixer Thursday, April 18 from 5-7 p.m.
60-69 Years Gettysburg Construction Co.
DID YOU KNOW? The Chamber went through a rebranding process in 2004, changing the name to Gettysburg Adams Chamber of Commerce from Gettysburg-Adams County Area Chamber of Commerce. A new logo was adopted and presented at the 85th Annual Meeting in November. CHAMBER PROMO Quarter Page Ad Spaces Valid For Gettysburg Adams Chamber Members Only Center spread of What’s In Your Neighborhood Adams County? North Hanover | Littlestown | South Hanover See Back Page For Back-To-School Membership Savings!